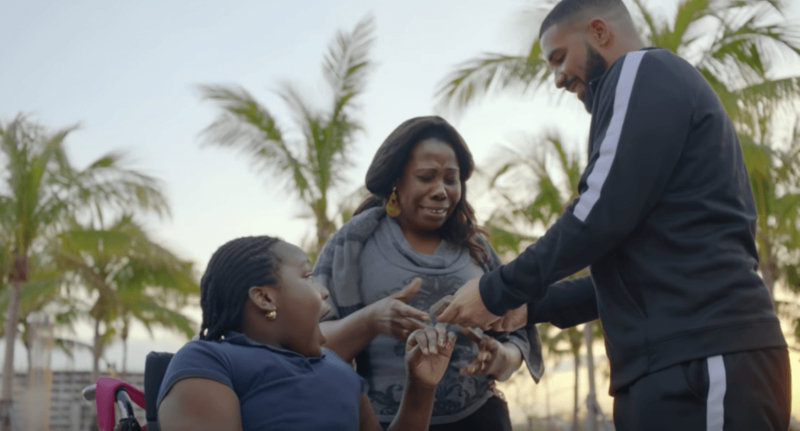 Drake is officially Canada’s sweetheart. 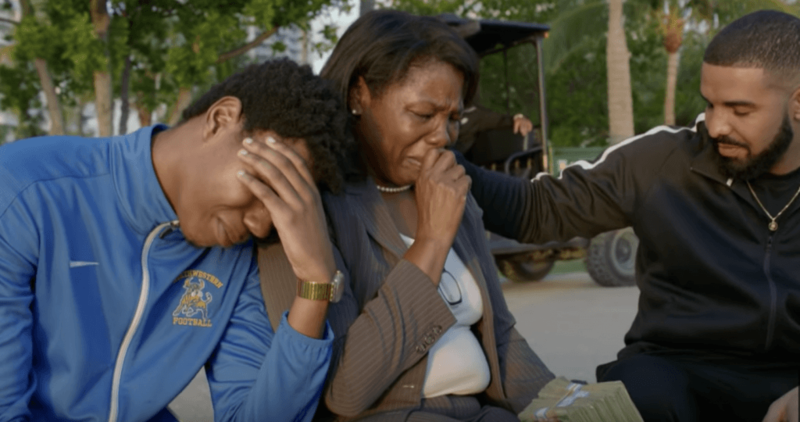 Earlier today, the Toronto rapper released his new music video for his song “God’s Plan,” which was shot in Miami. 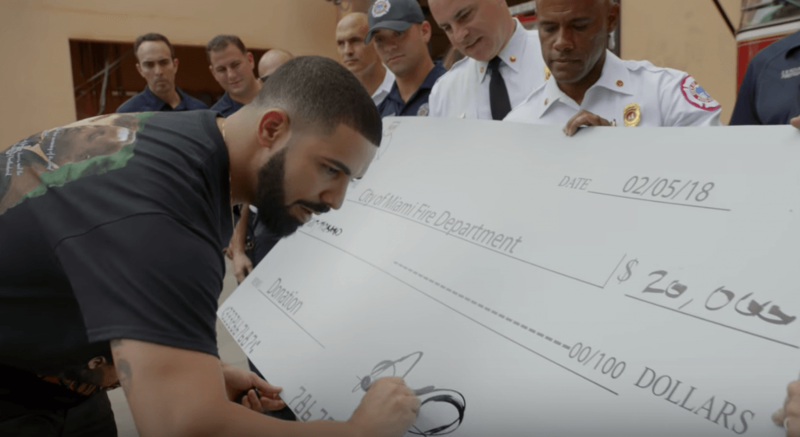 But instead of poppin’ bottles and throwing money around at a club, the video shows Drizzy signing cheques and handing out stacks of cash to random strangers in the Miami community, and it’s the sweetest thing ever. “The budget for this video was $996, 631.90. We gave it all away,” reads the screen as the video begins. And then our Canadian heartthrob proceeds to do a myriad of generous acts. He hands a bunch of cash to unsuspecting families and fans. 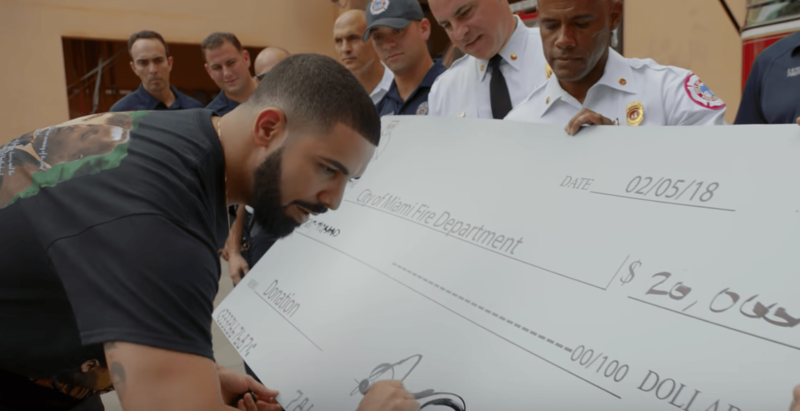 And then he donates thousands of dollars to the City of Miami Fire Department, a women’s shelter, and kids in need. 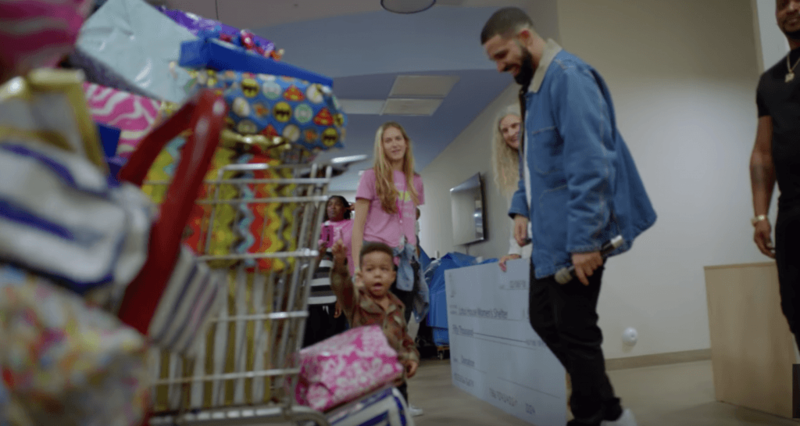 Drake also gave $25,000 to Miami Senior High School and bought $50,000 worth of groceries for customers in a supermarket. There are so many acts of kindness in this video, it’s hard to keep track. The rapper says he wants people to keep on going with the kindness in whatever way they can. 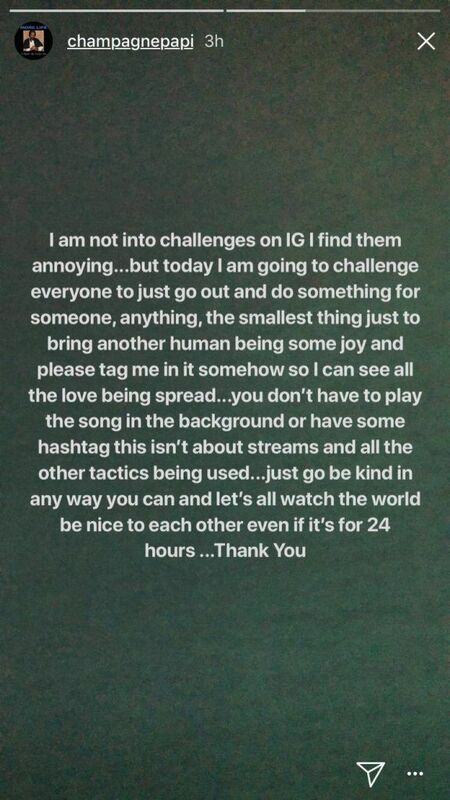 “…Today I am going to challenge everyone just to go ou to do something for someone, anything, the smallest thing just to bring another human being some joy and please tag me in it somehow so I can see all the love being spread,” Drake wrote on his Instagram story earlier today. How inspiring. Drizzy is definitely making Canada proud.